We work in the construction, some sudden situation inevitably present . If we can make full preparation before then, we can avoid unnecessary trouble, and to ensure that the smooth construction. 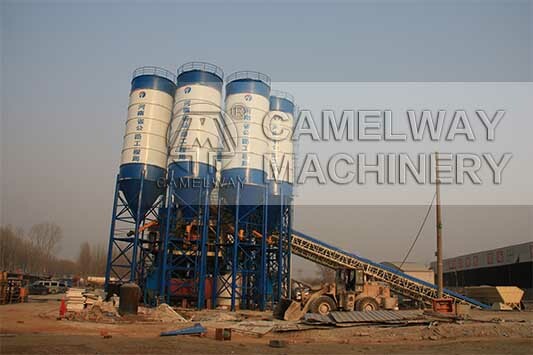 Zhengzhou Camelway Machinery will introduce a few methods for emergency. When a one-time pouring amount is larger, the quality request is higher, and no reinforcements near the station, the best way is to choose two small concrete mixing stations or choose a pair of double machine manufacturing. When the traffic is inconvenience in the site and servicemen in and out of the site need to spend a lot of time, you had better choose the smaller standard double machine station, or prepare enough spare parts. When the work is divided, but the site’s not too far apart, concrete delivery vehicles transporting radius does not exceed half an hour’s drive, dump truck delivery not exceed 10 minutes. The best is to choose more concrete mixing station converged on mixing, in order to improve the utilization of mixing plant and economic benefits. If you have any question, you can contact us or pay attention to our official website.